Right ascension: 22h 10m 41s Declination: +52° 51' 29"
150x10s frames. Captured in K3, debayered in AVIRaw, stacked in Registax, curves in photoshop. 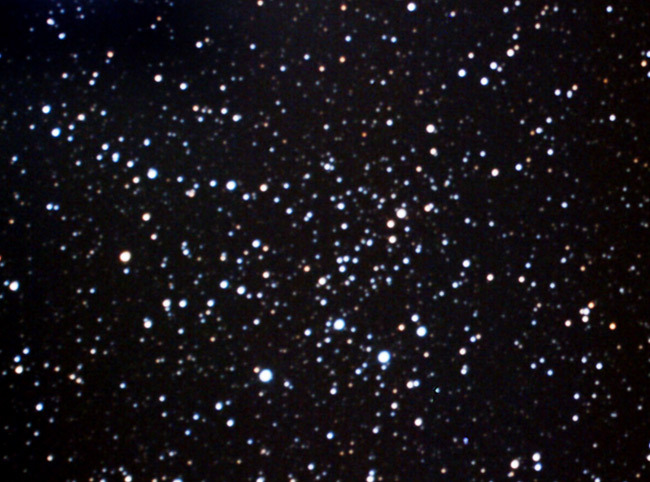 A rather sprawling open cluster with some defined star lanes. This image was to see what improvments had been made by working on CCD leveling and alignment. Improvements have been noted.